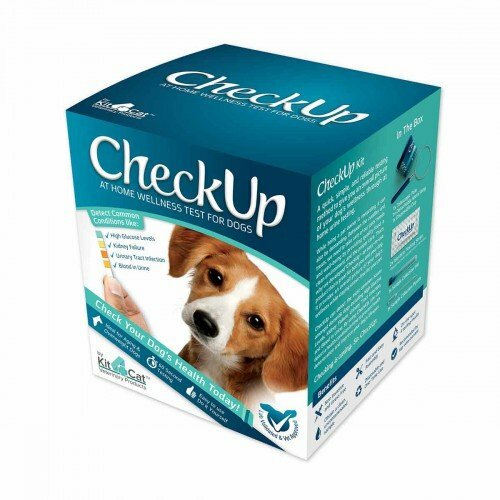 The Coastline Global Checkup at Home Wellness Test for Dogs allows you to monitor your pup's health from the comfort of your own home. 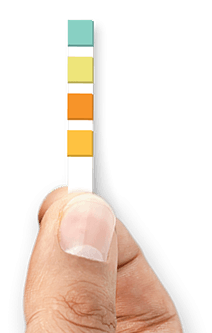 It easily detects high glucose levels, potential kidney failure, urinary tract infection, and blood in the urine. 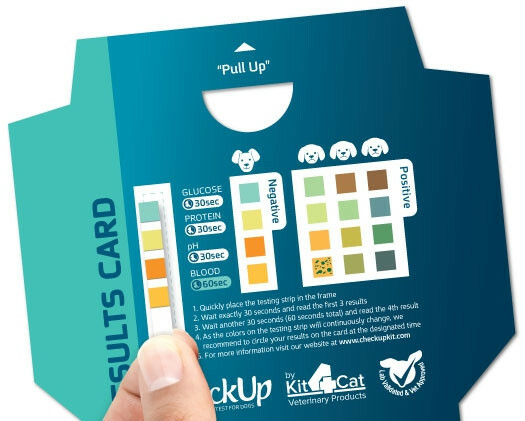 The Coastline Global K4D-OTC Dog Wellness Test is a great way to keep track of your dog's health in order to prevent health deterioration and improve your pet's lifespan. This kit is a great way to monitor your dog's health as directed by a veterinarian, especially for aging and overweight dogs. This test is user friendly, non-invasive, and stress free. It is fast and easy to assemble and the collection cup allows you to obtain a clean, uncontaminated sample. It is designed for single use and works in less than one minute for quick, on-the-spot test results. It comes with an extending telescopic pole with a detachable metal ring, a disposable cup, 2 testing strips, 1 sample collection vial, and 1 sample collection pipette. Once the sample is collected it can be refrigerated up to 48 hours to be sent in to a professional when further evaluation is required. Coastline Global also manufacturers Home Wellness Tests for Cats.